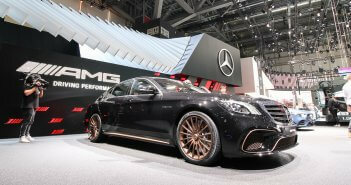 You are at:Home»Events»Updated C 43 AMG has now 390 hp! 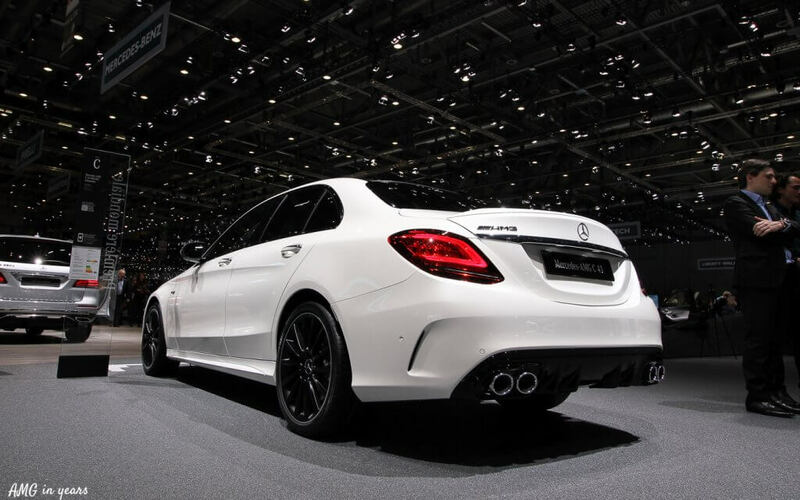 Updated C 43 AMG has now 390 hp! 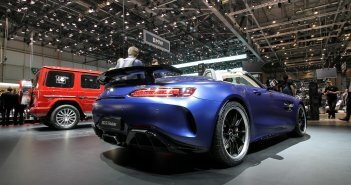 Next to the new AMG GT 4-Door Coupé, there was more AMG news at the Geneva International Motor Show with the facelift of the C 43 AMG. The ’43’ and ’53’ AMGs are the only AMG models that lack the one-man-one-engine badge, but they are as powerful as most of the ‘real’ AMGs of 10 years ago. 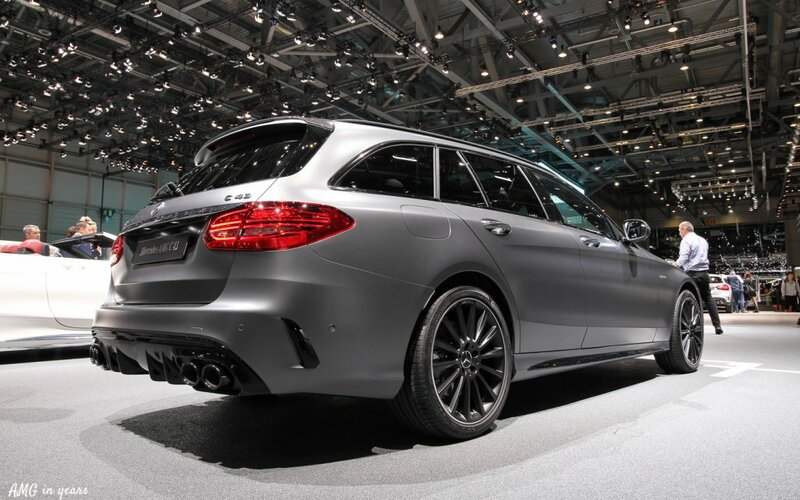 In reality they also account for a high portion of the total AMG sales. With the arrival of the facelifted C-Class, also the C 43 received an update. 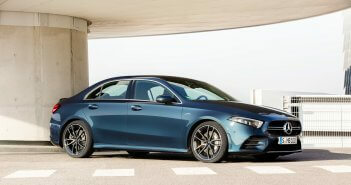 The new front grille of the C 43 AMG is coming from the pre-facelifted C 63 AMG (the new C 63 will probably receive the Panamerca grille) and at the back there are 4 round exhaust pipes. Classy. The engine output reaches now 390 hp instead of 367 hp previously. The engine is still the M276 3,0 l V6 but in contrast with the 53 AMG model range (CLS & E-Class) there is no EQ boost function. ©2016 AMG in Years - This is NOT an official Mercedes-AMG website, we're just fans.